This is a sweet and quick finish that I made for a christening in our extended family. I saw some scraps on my table from previous projects that looked comfy and fresh, and I got to work. 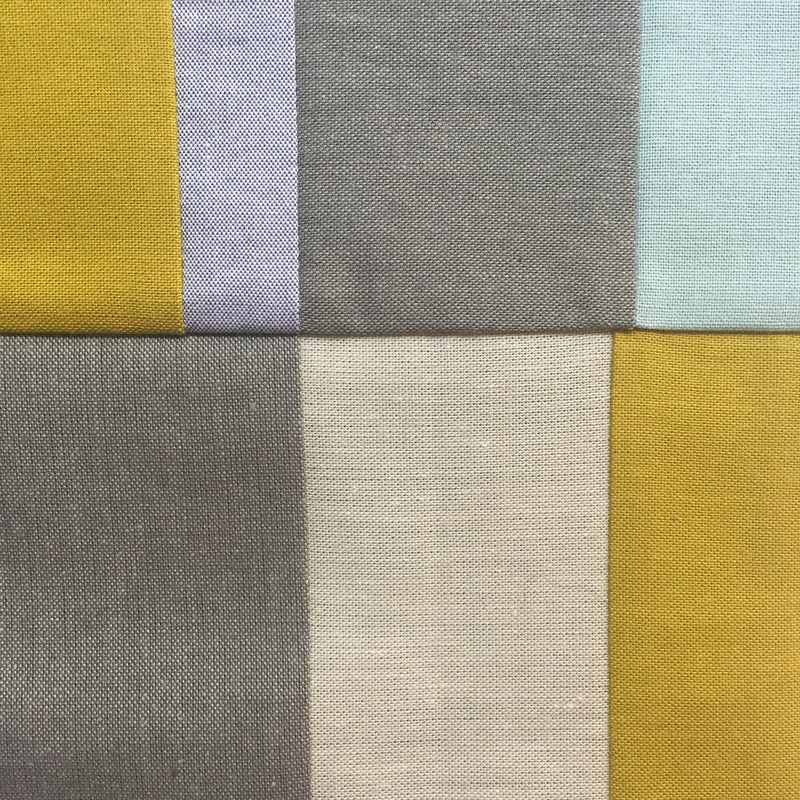 As I worked, I fell more and more in love with the fabric combinations, light blues, soft neutrals, a tiny bit of white, and pops of citrus. The colors make it cozy enough for a nap but fun enough for a play mat. 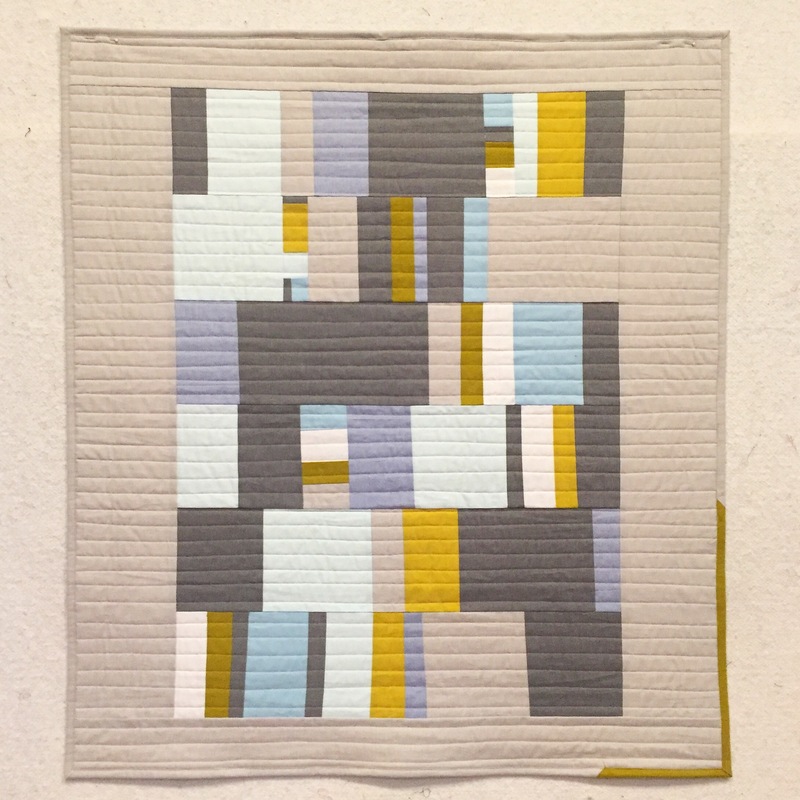 The method was fun and freeing– I used my Planned and Unplanned protocol, which I’ll be teaching at QuiltCon in February! More on that front to come, hope you’re enjoying your July. Lucky baby – this is great! I love the simplicity of it. 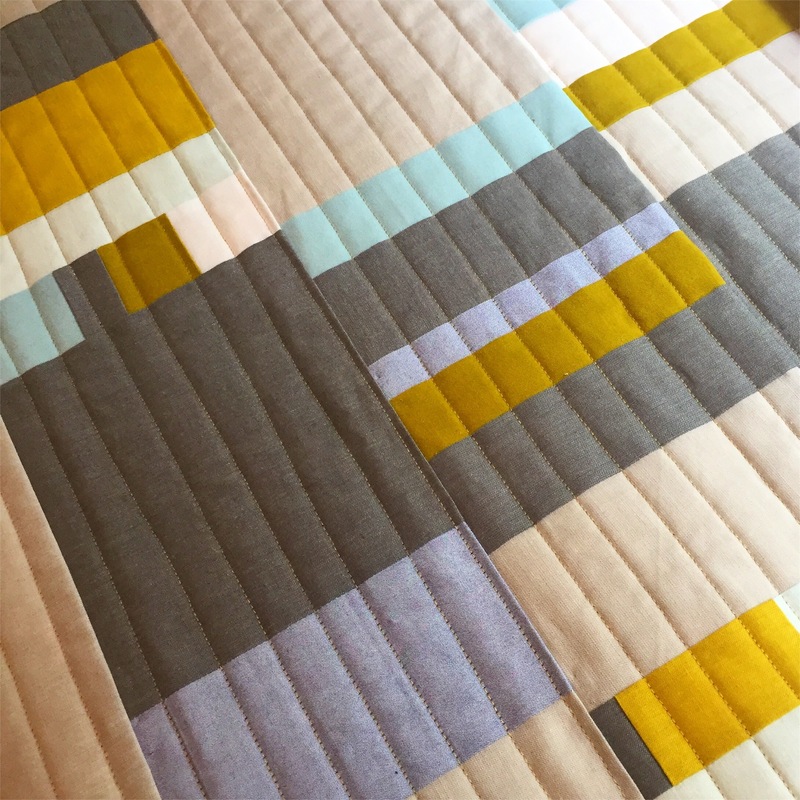 I am really getting into these more Modern art quilts. Because I can make one without a pattern and no right or wrong plan. 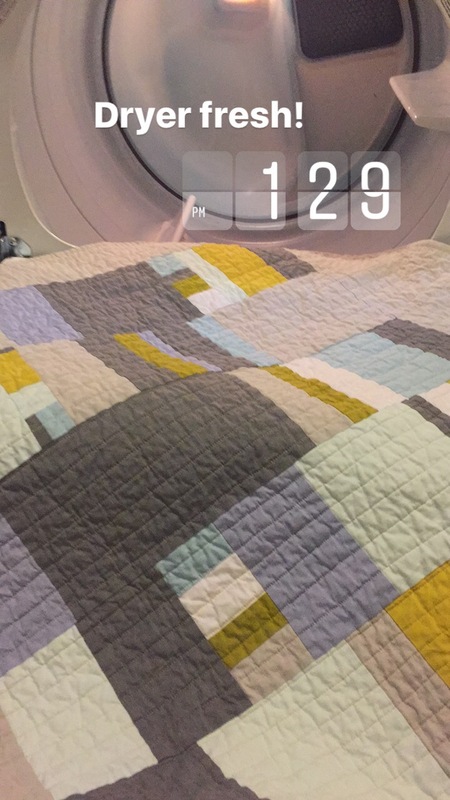 You have inspired me also to do my own straight line quilting.I love everything you do. These colors! Lovely finish. I adore the first wash crinkle.